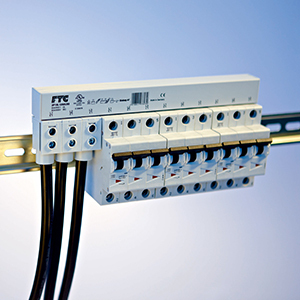 Miniature Circuit Breakers or UL512 Fuseholders. Feeder Terminals and Accessories fit any mounting configuration. Wiring errors are eliminated and hotspots are greatly reduced due to loose wiring connections.